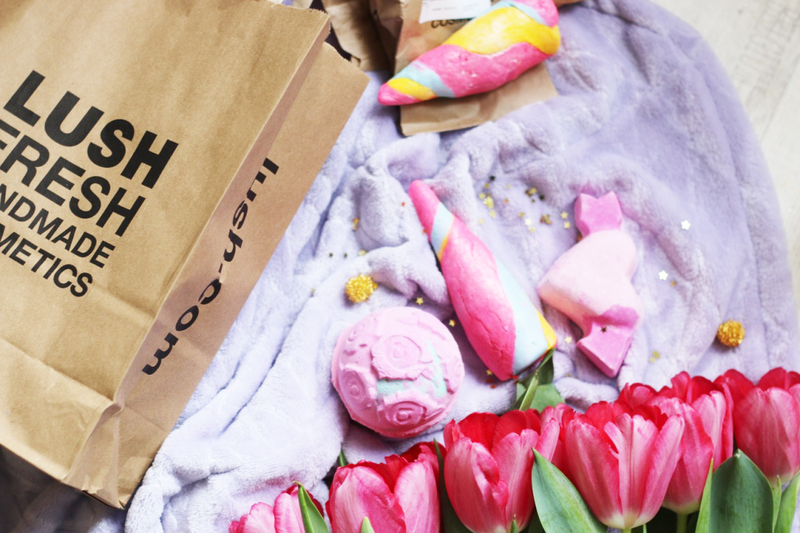 everyone reading this blog for a while probably knows that i love lush and if you are new around here: hello, i’m elena and i’m obsessed with lush and my bathroom basically looks like a lush shop. i love it and i won’t change a thing about that. 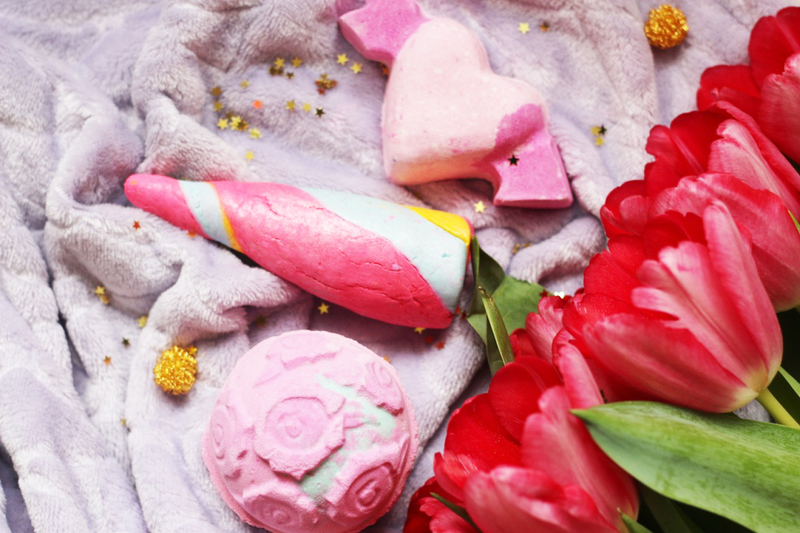 not only did i go mental when lush christmas was on offer, i also had to get my hands on some lush valentines day items. 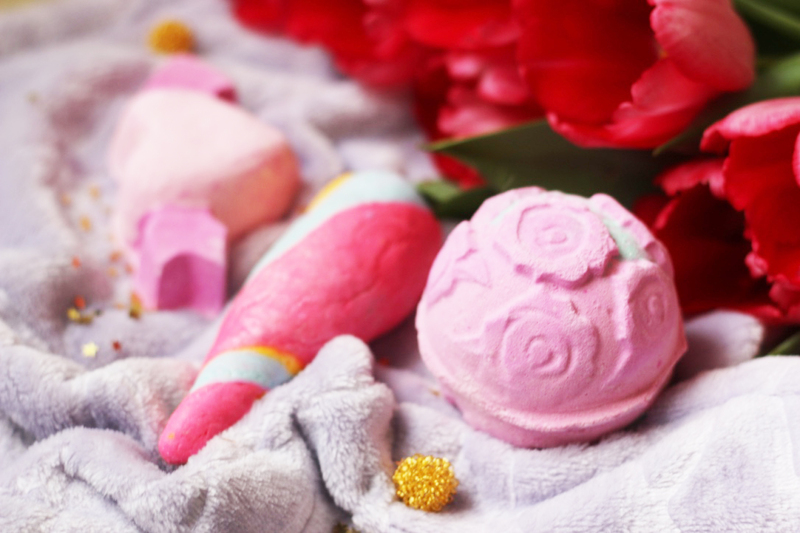 they are just so dreamy and pink and beautiful and now i have even more things to put in my bath. essentially lush is is like seeing a fiver fizzle away in your bath but its great isn’t it? i had to pick up a classic lush valentines day item. the unicorn horn. it has been out last year and its just the best. colourful, pink, glittery and it makes your bath glittery and beautiful. 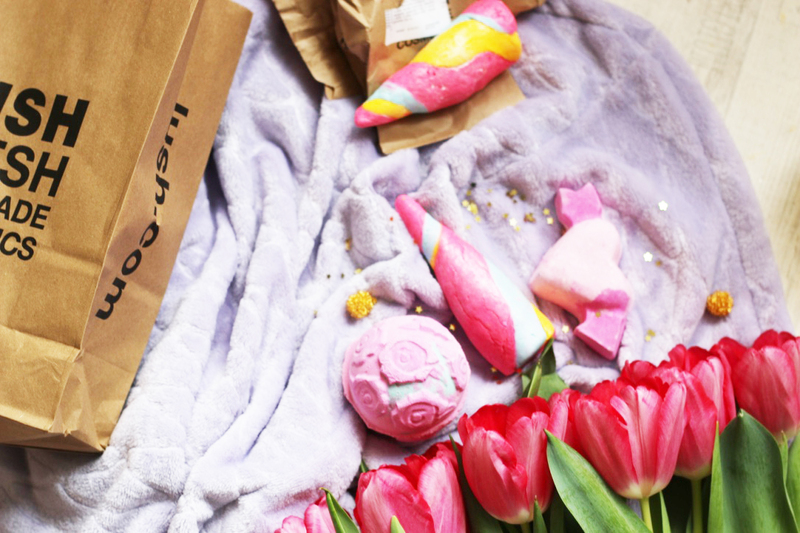 unicorn horn contains lavender and neroli so i imagine it to be very relaxing and perfect for my sunday night time bath and after bathing in unicorn magic i will surely cuddle up in my mermaid blanket because i’m a responsible 22 year old. one i just had to get because it looks beautiful is the rose bombshell bath bomb. it contains everything rose, even real rose petals and as well as lemon and geranium so it will be floral overload. i’m always tempted to create the perfect pinterest bath with tons of real flowers and petals but i have would have to clean my whole bath tub after…one day i will be doing it anyway. the last one is new this year, i think. its cupid and i the cutest pink heart. 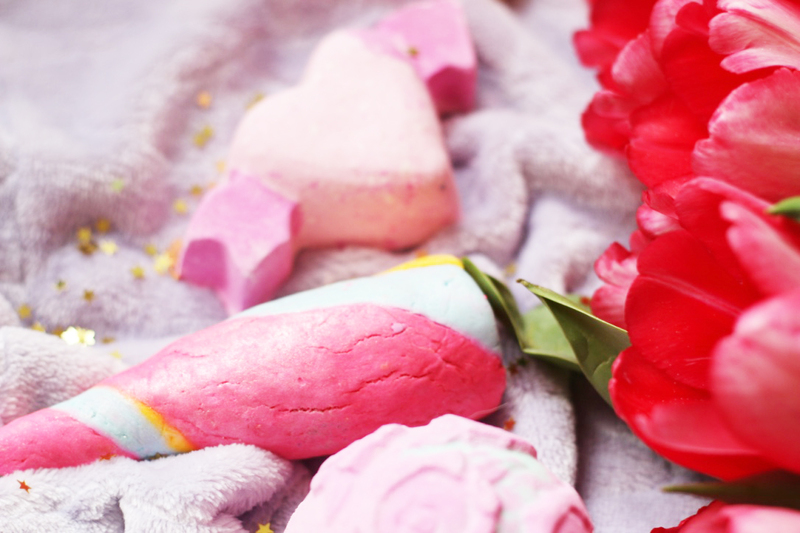 it looks perfect and just great for an actual valentines day bath, maybe with your loved one or just to treat yourself. it contains rose and bergamotte and ties in with the very floral but yet relaxing theme of this collection and i love it. 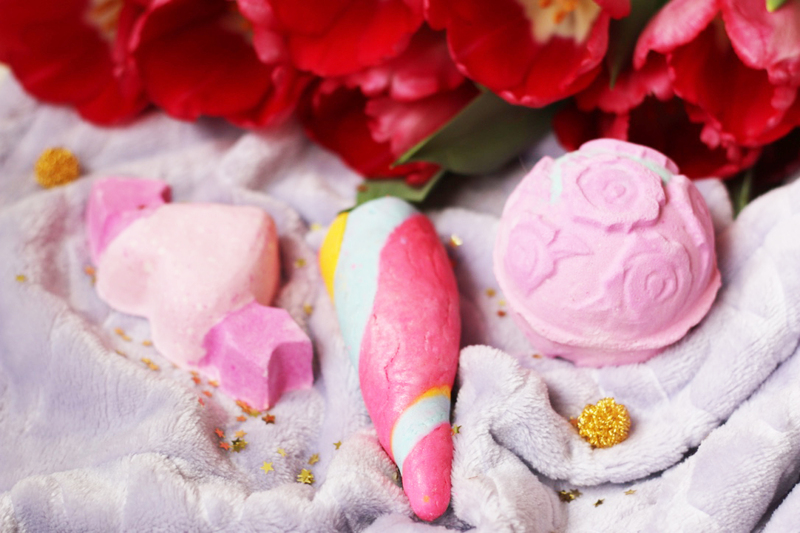 have you picked up any lush valentines day pieces? let me know what you think of them.